I first met Ryan Teitman in 2009 when he was a student attending Indiana University’s MFA program. I'm an admirer of his poetry and when I saw that he had published his first book (a prize-winner no less), I jumped at the chance to share it with you. Fortunately, he also agreed to an interview, so click here to read the interview and learn more about this talented poet. He’s definitely one to watch. Ryan Teitman’s first book of poetry Litany for the City was selected by Jane Hirshfield as the 2012 winner of the A. Pouling, Jr. Poetry Prize, published by BOA Editions. Litany for the City is a meditation on place, the importance of place, the embodiment of place, the conflation of place and body. Teitman provides structure for the reader through the theme of city / place / location—from consideration of a city such as Philedelphia, to a place like that of a dry wheat field (“Ephesians”), to the tender location on the body, a “patch of jawbone hidden by the earlobe” (“Vespers”). In addition, Teitman also provides structure through a number of motifs, most notably that of religion: the title of the book, the title of poems, in diction, and through images. As counterpoints to such grounding structure, Teitman offers delightful surprises with his images and juxtapositions. For example, we find the jarring image of a syphilitic eye compared to the domestic image of a fig on a breakfast plate (“The Cabinet of Things Swallowed”); there’s the rusted belly of a stove disintegrating into death-cinders right next to birds teeming with life as they build their nests in a copper bowl, the rust-red matte of the stove-belly next to the copper-red shine of the bowl-womb (“Ars Poetica”). Litany for the City opens with the poem “Philadelphia, 1976,” an ode of sorts, filled with kaleidoscopic bursts of memory-images, personal, poignant. The title of the poem locates us not only in a geographic place, but also a point-in-time—the bicentennial of the U.S. The title brings with it the historical importance of the Declaration of Independence adopted on July 4, 1776 in Philadelphia, perhaps establishing a comparison of what the city is now in light of its auspicious beginnings, or perhaps suggesting that change is inevitable in the expanse of time, changes to city, analogous changes to self. What one is in light of what one could be. hum of the Delaware, rippling like a singing saw. Towards the end of the poem, the speaker addresses the reader directly, asking the question “what’s our city made of?” Use of the pronoun “our” brings the reader into the speaker’s intimate circle. The speaker continues his active engagement with the reader, inviting the reader to go with him to the bridge, watch the fireworks, and then, in a sacramental gesture, “let // the spent flakes of soot settle on our eyelids / like wafers of host dropped onto tongues.” Surely, the poem is an ode. It is a meditation. It is a prayer for a beloved city that seems to form a portion of the speaker's sense of self. “Vespers” commingles the sacred and the corporeal with “drops of sweat // that slide like rosary beads” and the ending observation that “[f]aith // is tasting flesh / through all coverings,” even “through our thin skin that keeps / all we are from spilling out.” The poem is faithful to its title, befitting a prayer at sunset. From the image of the morning train and its implied travel to work, the poem returns to the motif of traveling to work, as the old woman waits for a bus, pressing a newspaper “to her face when she thinks no one / is watching,” reminiscing about the smell of the newsprint, how it brings back memories of her work at the printing plant. In fear of stating the obvious, I’ll point out that the pressing of people into the train in the first stanzas becomes the pressing of the newspaper to the old woman’s face as she recalls working at a printing press. … You opened your mouth and let the doctor reach in with pliers, let him pull out one bee after another from under your swollen tongue, and let him hold each corpse—glistened with spit—up to the windowpane, before dropping it in a jar by your bedside. You carried that jar with you always, half-filled with their dried bodies, like kernels of corn. The poem has religious overtones, the title itself bringing into context the Epistle to the Ephesians, a book from the Second Testament. The poem shares a number of characteristics with Epistle to the Ephesians. Of course, both are epistles. In addition, bees feature prominently in the poem, which echoes the importance of bees to the Ephesians. The Ephesians were once devotees of the Greek goddess Artemis, her temple at Ephesus being one of the ‘seven wonders of the ancient world.’ Bees were one of her trademarks: They were included on statues of her, her priestess’ were called bees, and Ephesian coins at one time were stamped with the image of a bee. In addition, the beloved in the poem repeats a verse from Epistle to the Ephesians, “wake up, O sleeper, rise from the dead”(5:14), which is in a section where Paul directs the Ephesians to renounce their pagan ways, to renounce fornication, impurity, and idolatry. The speaker hears the beloved say this verse while she's dreaming, after they'd fallen asleep in the hayloft. When they awake, it appears that the beloved and the speaker have eaten the bees: “In the morning the jar was empty, and our eyes were the color of nectar.” It's an eerie image that suggests the two have taken on the characteristics of what they have consumed. This is perhaps a nod to transubstantiation, the Catholic doctrine that underlies the Eucharist. As one Catholic explains: “Ordinary food is consumed and becomes that which consumes it. In the Eucharist, we consume God and become that which we consume.” What a fascinating possible reading—that the beloved and the speaker have consumed the bees and have either become bee-like or become in the likeness of Artemis. However, in this first prose-poem in “Metropolitan Suite,” the cherry-on-top for this reader is the surreal feel as we expand from that of a particular city into that of a mythic, universal city: “A woman sits on a statue of Lenin” the speaker tells us, and we think a city in Russia perhaps, or maybe Seattle or possibly Las Vegas or New York City, each with a statue of Lenin. “This is Brotherly Love” the speaker says, and we feel an aspect of Philadelphia enter our understanding. Oh, “[t]his is the City of the Big Shoulders,” the speaker continues, and we weave in the energy of Chicago, and maybe even factor in Carl Sandberg’s poem of the same name, in which the speaker of that poem calls Chicago the "City of the Big Shoulders." A single city setting—a woman sitting on a statue, men chanting from the square, a city with a museum, a river, a city filled with people who have a love of umbrellas. One city that is at the same time a litany of cities that is at the same time the universal city that transcends all cities. “Metropolitan Suite” is a gift of image and language. And that is how it is with each poem in Teitman’s debut book Litany for the City. Each poem offers something tangible and memorable. Teitman's mindful and creative use of detail, juxtaposition, anaphora, the theme of city, and numerous motifs, creates an engaging world. Filled with finely-chiseled poems that lean toward the lyric, Litany for the City is a compelling read that engages the reader from beginning to end. said I was changing my name to "The City,"
“The City That Swallowed the Sea” was first published in Pleiades. Nancy Chen Long lives with her woodsman husband and blue-eyed dog in a small cedar cabin in the forested hills of south-central Indiana. She volunteers with the local Writers Guild, offering free poetry workshops, facilitating creative writing and feedback groups, and assisting with two reading series’—one for prose writers and another for poets. You'll find her recent and forthcoming work in RHINO, The Louisville Review, Roanoke Review, Found Poetry Review, and Adanna Literary Journal. 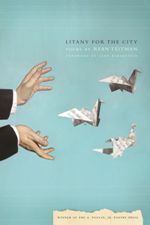 Ryan Teitman, a 2004 graduate of Penn State’s English Department, is the author of the poetry collection Litany for the City. This, his first book, won the A. Poulin Jr. Prize and is published by BOA Editions. Teitman, formerly the Wallace Stegner Fellow in Poetry at Stanford, recently received a grant from the National Endowment for the Arts. 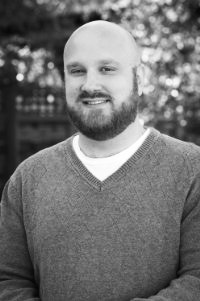 He is the recipient of an AWP Intro Journal Award in poetry, the winner of the Mid-American Review’s Fineline Competition, and a finalist for a Ruth Lilly Fellowship. His poems have appeared in Ninth Letter, The Southern Review, Sycamore Review, Third Coast, and many other journals. Teitman worked as a newspaper reporter in Philadelphia before earning an MFA in Creative Writing and an MA in English at Indiana University. He currently works as the Emerging Writing Lecturer at Gettysburg College.